You can enjoy the benefits of a simple sustainable garden landscape, whether you start from scratch or add environmentally-friendly materials and plants to an existing space. Sustainable and green landscaping ideas can be incorporated into residential and commercial properties and enhance the local ecology. Working with a landscape designer makes it easy to incorporate sustainable elements into a garden and add beauty and reduce maintenance of an area, large or small. Consider these top earth-friendly ideas as you plan your sustainable garden or landscaping space for gathering, dining and relaxation. Get stylish and earth friendly and bring new life to discarded items. You can up-cycle many materials. Consider a new life for a kitchen objects, a discarded metal wok can be easily transformed into a wood-burning fire bowl. Add a steel or stone base and you are ready to enjoy the outdoors even when there is a nip in the air. Rather than tearing down an old weather-beaten structure, adding new wiring and insulated windows can turn rescued sheds into a private getaway. Talking about wiring, if you are lucky enough to come across copper pipes, you can use them to create a foundation for a living roof of hardy vines to shade dining and lounge areas. For those looking for to add a touch of green but not have to worry about constant watering, low water plants make an excellent choice for sustainable plantings. Consider native and organic plants to add to your garden. 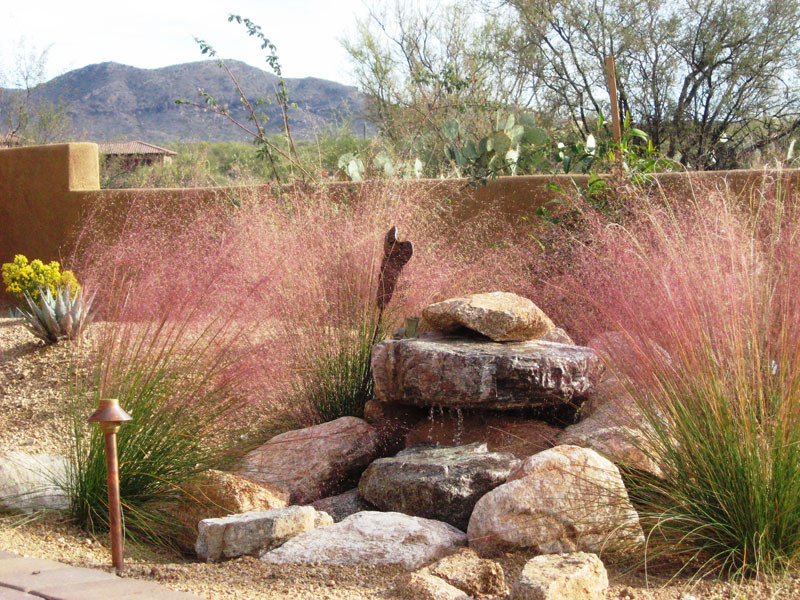 Work with your landscape designer or local nursery to create a list of grasses, shrubs and flowers indigenous to the area. Choose plants and combinations that grow well in local soil and attract beneficial bacteria and insects. Examples such as the Potted Monterey cypress (Cupressus macrocarpa ‘Saligna Aurea’) and Honey bush (Mylianthus major) can handle arid climates and require little water. Such plants can provide a green backdrop or add privacy to a cozy nook. Pavers and stones are frequently removed during renovations. This is one haul to take advantage of and use in paths and borders, as well as drainage areas. Collections of local pebbles allow water to drain directly into the ground rather than form into run-off. This works well in dining spaces, allowing them to be comfortable used, even after a recent rain. Natural stones and rocks can be used to enhance water flow, create low maintenance walkways and protect garden beds. Solar lights are an earth-friendly solution for the need for additional lighting. Add them to walkways, fences, patio spaces and more for a long-lasting lighting option without the need for additional consumption of electricity. 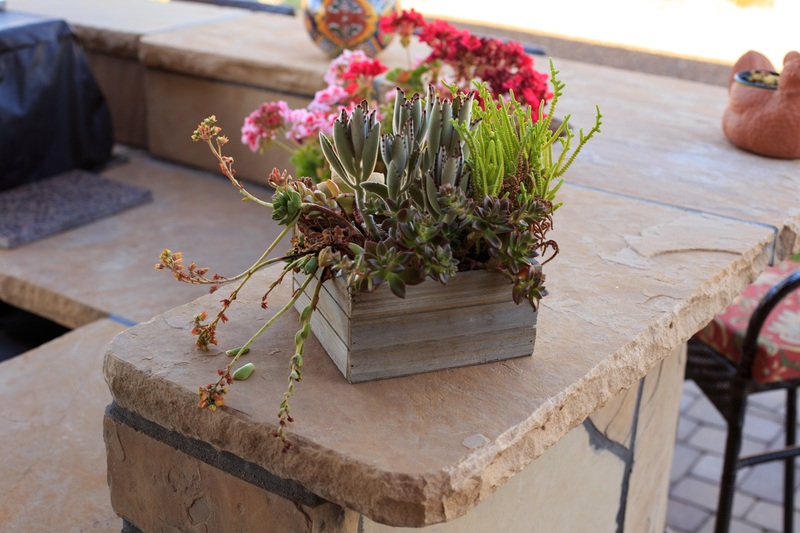 Gardening ideas including salvaged finds, solar lights, rocks and stones and low water plants can add interest to a space as well as make a garden more sustainable. Recycling often cuts down on cost and maintenance, making it easier for homeowners and property owners to enjoy a space with little stress. Consider working with a landscape designer to assist in the creation of your dream sustainable landscape. New Life Landscapes helps with homeowners and property owners throughout the landscape design process to add sustainable elements to garden and landscaping ideas. 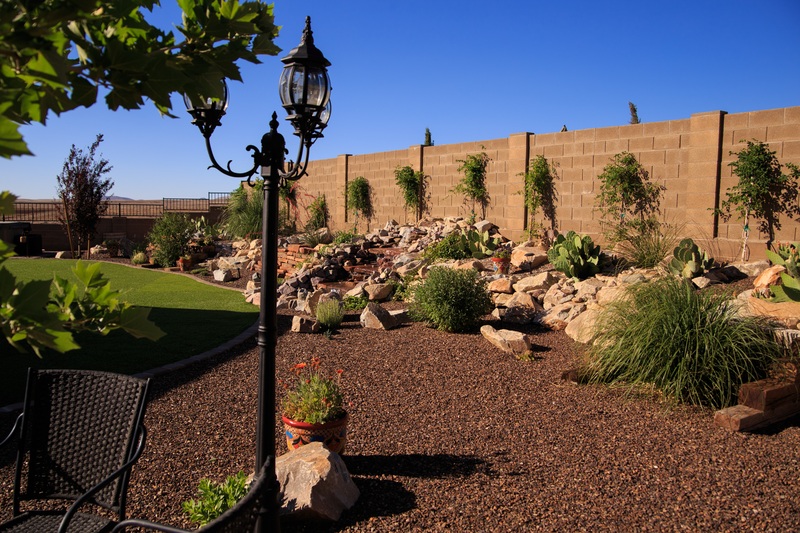 Contact New Life Landscapes to discuss your landscaping design needs with a friendly and experienced associate today.